A package of 10 pcs. costs 370 USD. Silicon based beam deflection cantilever for electrostatic force mode. Rectangular cantilever that is shaped like an arrow. 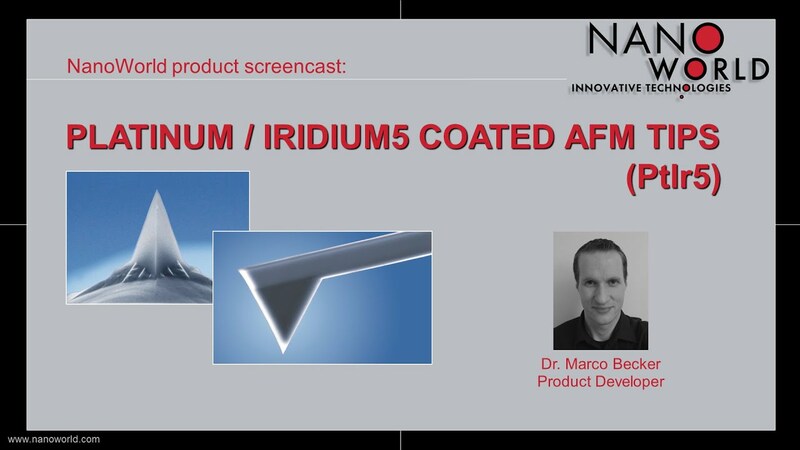 PtIr5 coating on both sides. PtIr-coating on both sides. Wide detector side for easy adjustment of the detection system, small width at the tip side reduces damping. 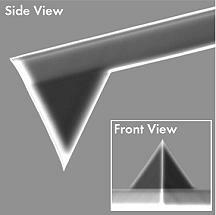 All AFM probes of the Arrow™ series are made from monolithic silicon which is highly doped to dissipate static charge. They are chemically inert and offer a high mechanical Q-factor for high sensitivity. These probes feature a rectangular cantilever with a triangular free end and a tetrahedral tip.